When composer and conductor Peter Paul Fuchs died on March 26, 2007, I marked his passing with two tributes written with John McLaughlin Williams. At the end of the second article I wrote the following - We now have information on Fuchs’ music, but don’t have any photographs of him. Any photos for publication would be very gratefully received. After writing that a student of Fuchs, Adrian McDonnell, who is now conductor of the Orchestre de la Cité Internationale in Paris, emailed me. He is in contact with the composer's widow Mrs. Elissa Fuchs in North Carolina who kindly supplied the photographs and biography that I am publishing to mark the first anniversary of his death. This is the only comprehensive resource on Fuchs on the internet and I am very grateful to Mrs. Elissa Fuchs, Adrian McDonnell and John McLaughlin Williams for making it possible. I have ported the article to Wikipedia so it will reach the widest possible audience. Peter Paul Fuchs was born on October 30, 1916 in Vienna, Austria, son of Dr. Adolf Fuchs, a well known heart specialist, and Marianne Rusicka, a piano teacher. His grandfather was Alois Rusicka, a prominent Viennese lawyer, originally from the same hometown as Gustav Mahler, and who had encouraged Mahler’s father to further young Gustav’s musical studies. After his academic studies in the “gymnasium”, he graduated in 1935 from the Vienna Academy of Music where his mentors were Felix Weingartner and Josef Krips in conducting, and Karl Weigl in composition. 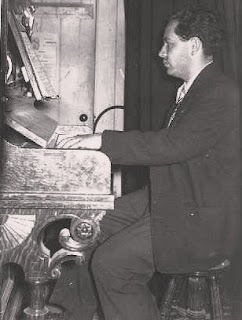 In 1936 Fuchs was engaged as conductor and repetiteur for the German Theater in Brno, Czechoslovakia. The volatile politics of the period and the imminent Nazi invasion meant he was forced to leave Brno. Without a valid passport or job he spent two years living in exile in Switzerland and Italy until he received a US visa. In 1938 he sailed for America with a letter of recommendation from Felix Weingartner, a tooth brush, $5.00, and a basic change of clothes. When he arrived in the US he supported himself by accompanying singers and instrumentalists, and playing for ballet classes. He toured with a small Ballet company in 1939-40 and in October 1940 he was hired as accompanist for the Ballet at the Metropolitan Opera. 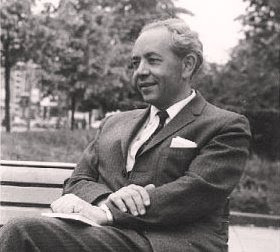 Fuchs arranged for his parents to leave Nazi occupied Austria in 1940, and brought them to America; two years later he was inducted into the army and automatically became an American citizen. Following the end of hostilities in 1945, he returned to the Metropolitan Opera as a full time staff conductor until 1950 working with Bruno Walter, George Szell, Fritz Reiner, Erich Leinsdorf and Ettore Panizza and others. He also conducted at the San Francisco Opera, the Cincinnati Summer Opera, the Central City Opera, and the Berkshire Summer Music Festival where he was assistant conductor to Leonard Bernstein. He left the Met in 1950 to become professor of music and opera at Louisiana State University, first as conductor and teacher, then as head of the opera department in 1952. His responsibilities later in the decade when he became the conductor of the Baton Rouge Symphony Orchestra, an appointment he held for the next 16 years, and also conductor of the Birmingham Opera in Alabama and of the Beaumont Opera in Beaumont Texas, In Beaumont he was conductor and stage director for 13 years. 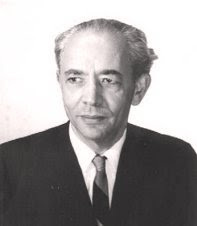 He also developed an international career and guest conducted in Holland, Greece, Germany, Romania, Portugal, and in his native Austria, appearing with such orchestras the Vienna Tonkuenstler Orchestra, the Aachen Municipal Theatre, the North German Radio Symphony Orchestra and the Bucharest Opera. Louisiana State University awarded Peter Paul Fuchs an honorary Doctorate when he retired in 1976, and he then became Music Director and Conductor of the Greensboro Symphony Orchestra where he remained until 1988 and was also Artistic Director and Conductor of the Greensboro Opera Company from 1981 to 1992. Fuchs translated several operas into English for American editors, notably Verdi’s “Masked Ball” for the Metropolitan Opera. His writing included two notable books, The Musical Theater of Walter Felsenstein (W. W. Norton) and The Psychology of Conducting (MCA), which has become required reading in many universities. Fuchs had been composing chamber music, symphonies and opera since he was a teenager in Vienna. In Baton Rouge in the 1960’s he conducted his opera “Darkness at Noon” at Louisiana State University. Then, in the late 80’s and early 90’s, excerpts from his opera “White Agony” were produced at the Komische Opera in Berlin (where Felsenstein had directed). 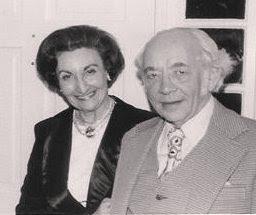 In 1992, the Greensboro Opera produced a staged version of “White Agony” staged by his wife, Elissa Minet Fuchs, former ballerina of Ballet Russe and the Metropolitan Opera who is seen in the photo below together with the composer. As well as his three operas (Darkness at Noon, The White Agony, and The Heretic), his other compositions include a symphony, a Concertino for Piano and Orchestra, Inventions for Wind Instruments, string quartets, a violin sonata, works for piano, and many songs. (See this note by John McLaughlin Williams on Fuchs' music). He directed many opera workshops notably at the Manhattan School of Music where, in 1962, he conducted the premier of Jan Meyerowitz’s “Godfather Death”. Both his daughter Debora Porazzi and son in law Arturo Porazzi work production roles on Broadway. You can listen to Peter Paul Fuchs' music in an exclusive Overgrown Path webcast. Bill Conti, composer and conductor mostly active in Hollywood and television. Milton Crotts, former conductor of the Guam Symphony Orchestra and currently Professor at Davidson College. 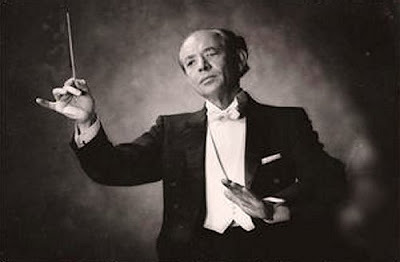 Adrian McDonnell, conductor of the Orchestre de la Cité Internationale in Paris and professor of conducting at the Conservatoire Frederic Chopin. Peter Paul Fuchs, born Vienna October 30, 1916, Vienna, Austria. Died March 26, 2007, Greensboro, NC. * Listen to a Peter Paul Fuchs' Five Miniatures for chamber ensemble from private tapes in an exclusive Overgrown Path podcast on iTunes. Thank you for this beautiful tribute to a fine musician. I was in Greensboro last week and met with Elissa Fuchs. She's 94 and in good health. Elissa is aware of your wonderful posts about Peter Paul Fuchs.